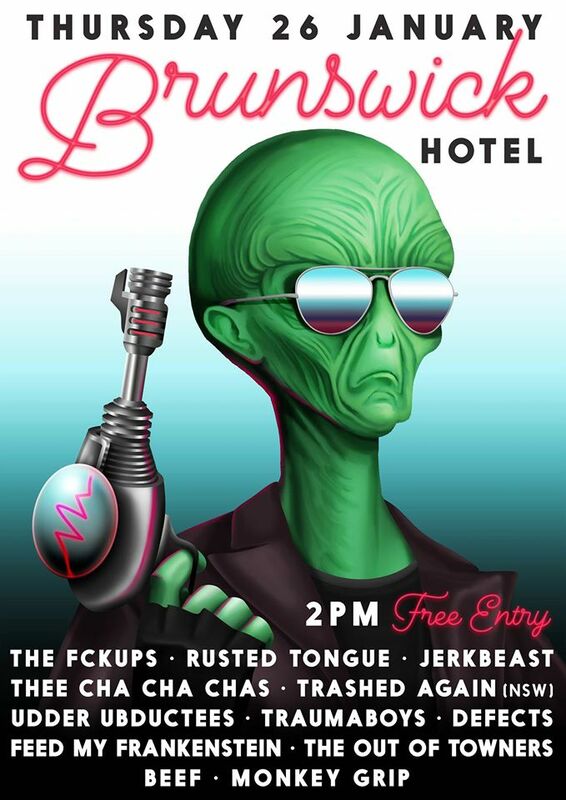 12 gnarly bands, starts at 2 finishing at 12, public holiday 26th January, The Brunswick Hotel, need I say more? FREE ENTRY!!! If you like the flyer art work, check out this amazing website!